Police are appealing for witnesses and anyone with dashcam footage following a fatal collision in Cricklewood. 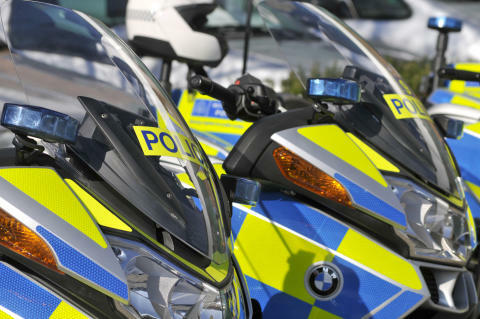 Officers were called at 08:30hrs on Monday, 11 March to reports of a road traffic collision in Claremont Road, at the junction with Pennine Drive, NW2. The collision was between a car and a motorcycle. The London Ambulance Service and London's Air Ambulance attended. The rider of the motorcycle, a man aged in his 30s, died at the scene at 09:07hours. At this early stage it is believed the car was travelling north on Claremont Road and was turning into Pennine Drive when it was in collision with the motorcycle. The motorcycle was travelling south on Claremont Road. Officers are appealing for anyone who witnessed the collision or the events leading up to the collision to contact police. They are particularly keen to speak to anyone who may have dashcam footage of either vehicle prior to the collision. Anyone that can assist is asked to call officers from the Roads and Transport Policing Command on 020 8246 9820 or call 101 and quote CAD 1349/11March. The driver of the car stopped at the scene; there has been no arrest. Enquiries continue.